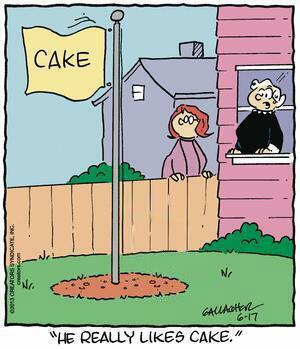 March | 2014 | Heathcliff, For Why? How does one make the most absurd character in a comic based in a world of non sequiturs even more absurd? Remove his most identifying characteristic. 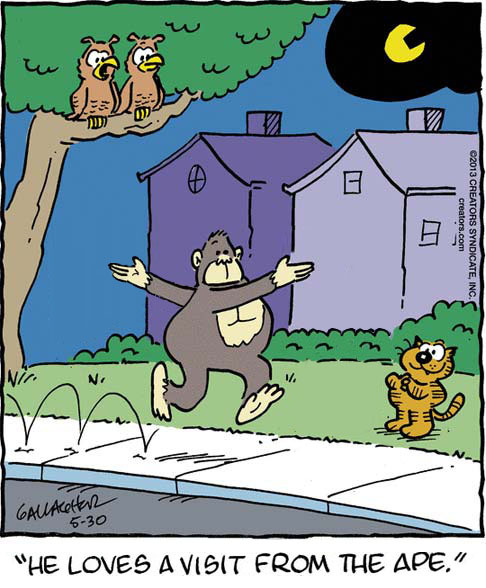 Sure, there’s Heathcliff without Heathcliff, but the Garbage Ape without garbage is, well, just a random ape prancing about like Baryshnikov in the mist. I have another blog where I blog about other things. On this blog, I have posted some of my stand up comedy among other things. Have a look. You can also follow me on Twitter at @ItsTheBrandi. 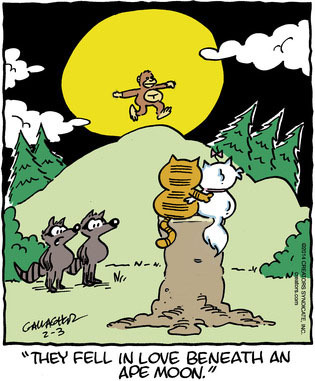 I tweet about Heathcliff and a bunch of other strange things. It’s pretty random and all over the place but I like it. 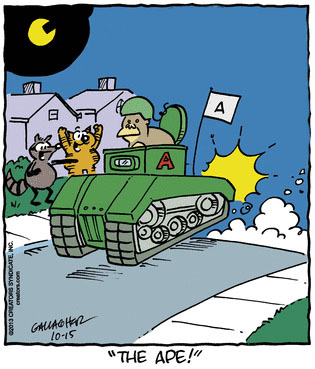 My friend Jeremy aka @afterglide on Twitter made Heathcliff Without Heathcliff. 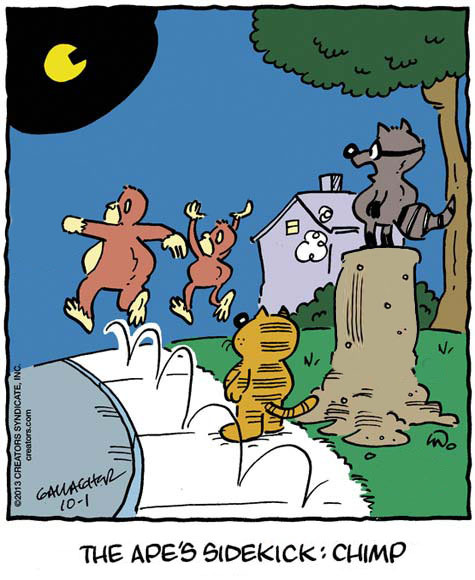 I suggested that Iggy Nutmeg was really Jon Arbuckle as a child and Jeremy suggested that Heathcliff needs its own thing like Garfield Minus Garfield. He’s right. I have invited Jeremy to post his work on this blog, so who knows if he will. 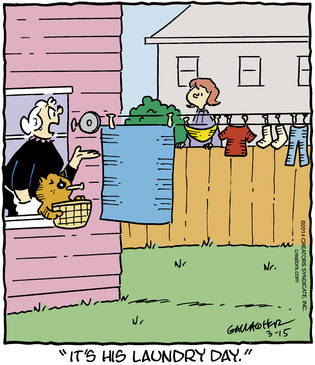 What’s great about Heathcliff Without Heathcliff is that it’s just people yelling explanations for no goddamn reason. No, it makes exponentially more sense AND is funny! Wow. 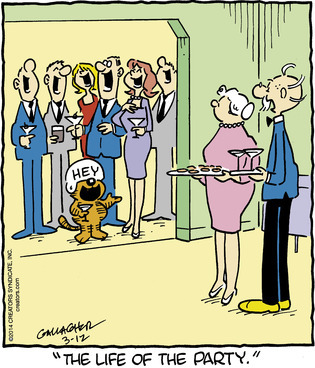 Garfield Minus Garfield just paints John as a nut, this creates believable scenarios with just a touch of wry humor. Two old men saying “You say ‘bro” too much” to one another!? Hilarious! Iggy fretting about hearing the parole officer’s faux LOLs? Totally “awww” worthy! And telling the lady they’re all out of soup without Heathcliff and his big, dumb spoon turning it all to a giant health code violation? Well, I tittered.